When I think of summer, a few things come to mind. Popsicles and lemonade. Traditionally, these things are made with lots of sugar and other additives. Well I have come up with a few healthier alternatives. MightyNest sent me some great products to help me make these healthier treats. MightyNest equips families with the gear they need to live a healthy life. They’ve recently launched the MightyFix, a brilliant way to help families live more mindfully and make healthy choices. For just $10/month, you’ll receive an amazing product every month (a full-size, safe, non-toxic life solution) and get FREE SHIPPING on anything else you add from their site. Before you know it, you’ll be living a healthier life, one step at a time, one month at a time! Click the button below to sign up for MightyFix. In case you didn’t know, MightyNest is a online retailer that sells eco-friendly products. Every time you buy through MightyNest, you are not only getting quality, safe products for your family, but you are also earning money for the school of your choice! MightyNest will donate 15% of your purchases to the school of your choice. MightyNest also supports healthy eating and living by sharing helpful tips and challenges. I have 2 different recipes for this post. 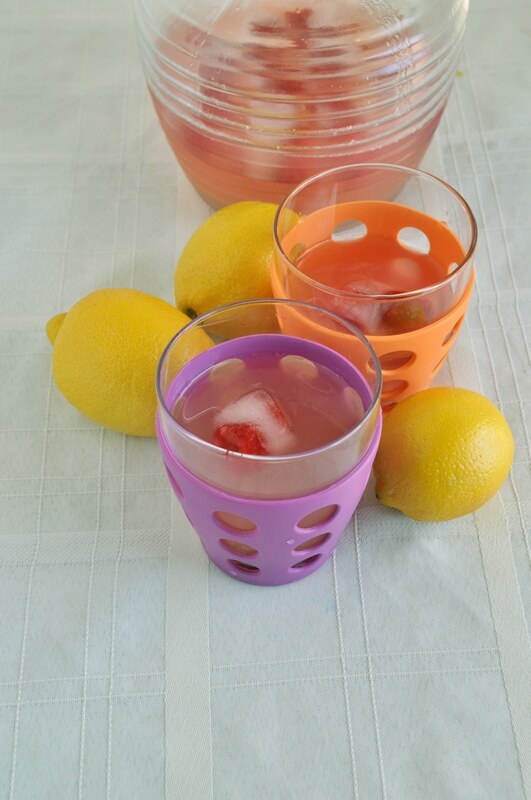 The first is a healthy lemonade with raspberry ice cubes. I made the ice cubes using these silicone molds. 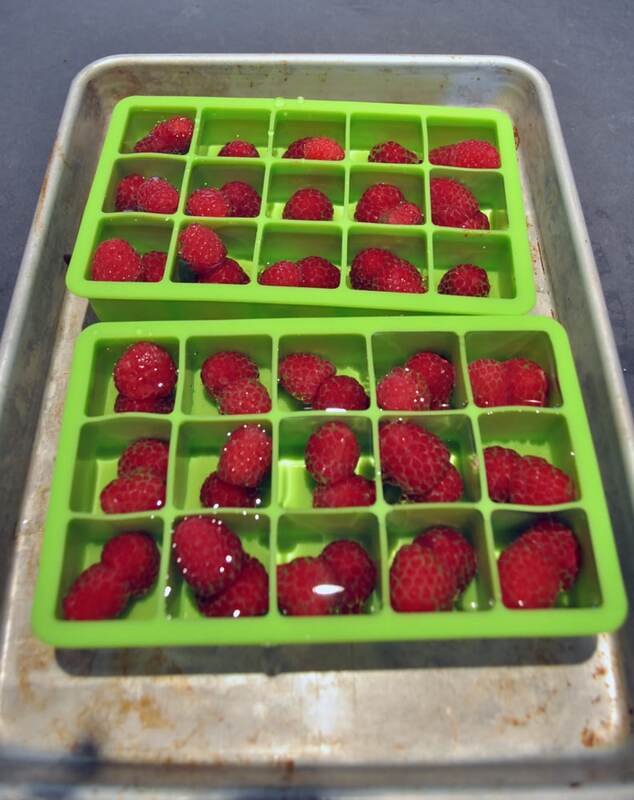 Just drop a couple of berries in each cube, fill with water, and place in the fridge to freeze. Mix everything together in a large jar. Add the raspberry ice cubes and serve immediately. I also made some hidden veggie creamsicles. 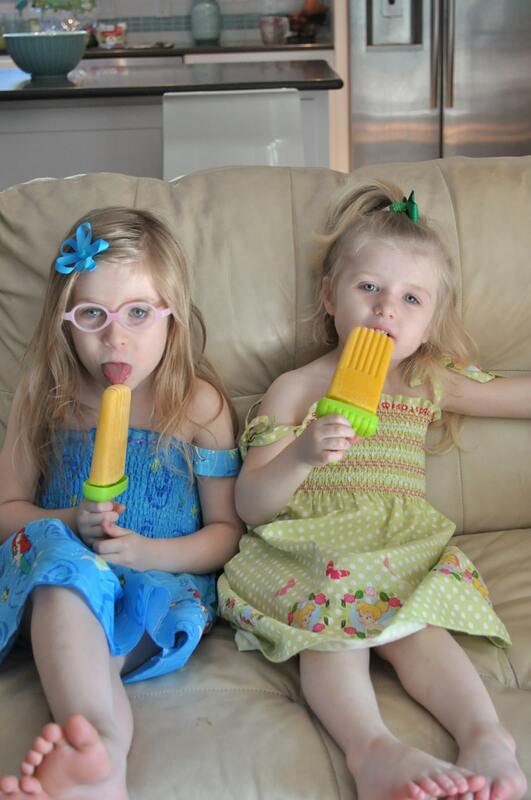 I am convinced that most kids will eat anything in popsicle form. 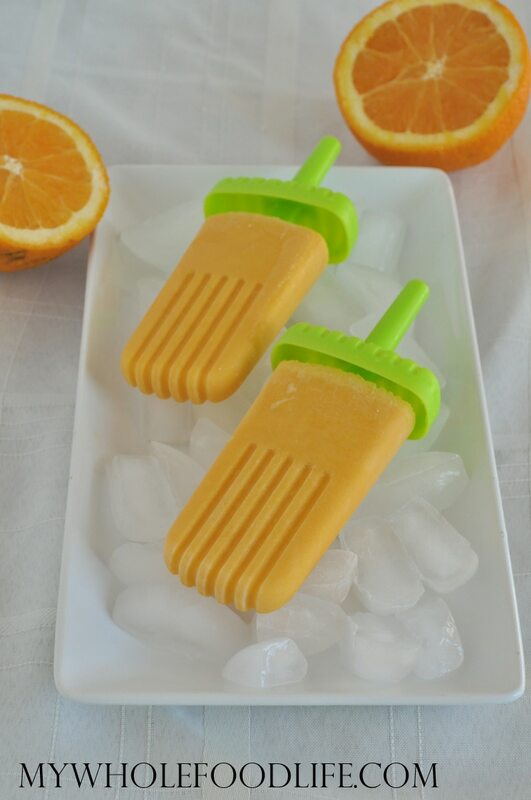 I sneaked some sweet potatoes into these creamsicles and they had no idea. The sweet potato doesn’t change the color and it adds a little more sweetness. Mix all the ingredients in a blender. Take a taste. If it’s not sweet enough for you, you can add a tablespoon or two or honey or maple syrup. Pour into molds and freeze for at least 6 hours. This popsicle reminded me, Melissa, that a local organic food truck in our smaller town has a smoothie called the orange creamsicle. 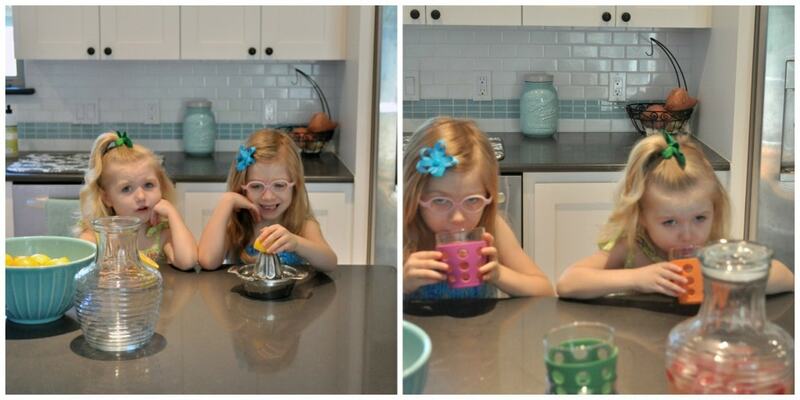 All her smoothies have a full serving of vegetables.........for this smoothie it was.....cauliflower. AND IT WAS GREAT. I wish someone could try this and post it online. I think citrus is a great way to cover veggie tastes. Thanks for this recipe and let me know if you think adding cauliflower is an option? Cauliflower is pretty versatile. I think it might work in this. I may try it. :) Mango would be another option for the fruit. I have just stumbled upon your site. Firstly, your recipes look fantastic and Im really looking forward to trying them but I found the amount of advertising blaring at me was quite off puting. It is a bit ironic having Dominos Pizza ads on a whole foods site, don't you think? Thanks for catching that food ad. Those are not supposed to be on my site. I opted out of processed food ads. I will let my ad provider know.